Who or What is WDWCelebrations? 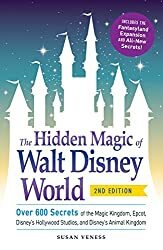 Being a long time fan of the Disney Parks, but fairly new to the online community WDWCelebrations offered a unique opportunity for me to connect with others who shared my passion. I was lucky enough to be on the Disney College Program at the time of Project XL celebrating Magic Kingdom's 40th Anniversary. Truly the gang from WDWCelebrations know how to run an amazing event as they've done more and more events. I'm so grateful to the group for putting on the event and for connecting me with new friendships that I hope to maintain for many years to come. Thank you Adam, Jason, and all the core team members for everything you do. I can't wait to partake in many more events in the future. -Submitted October 4, 2011, by Tony Urbanski, from WDWCP. Michelle and I attended Celebration 25 at Epcot in 2007. It was truly a day to remember forever. We said we`d be back 5 years later, and we will be! -Submitted May 3, 2011, by Martin Smith, from UK. My mom and I attended the WDWCelebrations A Wild Decade event. We had a blast! It was so exciting to meet some of the virtual Disney celebs like Lou Mongello and Deb Wills in person. Not to mention the fun we had listening to the Joe Rhode presentation about forming the park. Keep up the great work guys! -Submitted April 27, 2011, by Jennifer Henson, from Raleigh, North Carolina. This is a test. This is a test of the WDWCelebrations Testimonial System. This is only a test. Please click "Add your testimonial" to add your own! -Submitted April 26, 2011, by WDWCelebrations Webmaster, from The Internet. The second edition of the top-selling book by our sponsors Susan and Simon Veness! Get it now at Amazon.com! Please support our sponsors, partners, and advertisers; they help make our events possible. For more information, see our Sponsors & Partners page and our Advertising Information page. Copyright © 2007-2019 WDWCelebrations, L.L.C. WDWCelebrations.com is an unofficial site and is not affiliated with The Walt Disney Company. For official information about Walt Disney World, visit http://www.disneyworld.com. Subscribe to the WDWCelebrations.com Newsletter using the form below. Your personal information will be kept private and used only to contact you with information related to WDWCelebrations.com and our events. It will never be sold or disclosed to third parties. You will always have the opportunity to unsubscribe from our mailing list. Sign up for the WDWCelebrations Newsletter! Have you attended previous WDWCelebrations Events?